Do you need to draft an offer now on a home that just came on the market? You know there is a sense of urgency in this market with such a low inventory and high demand, but you want to make sure you do everything right, and you need a Realtor who can help draft an offer today. 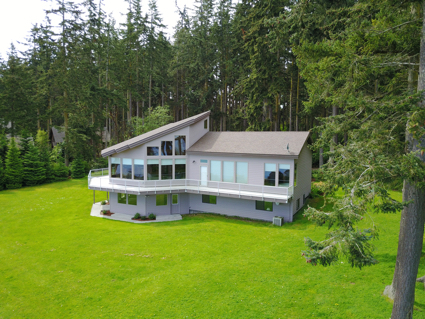 Call me on my cell phone at 360-775-5424, and I’ll draft the offer for you, but we will still need to do all the due diligence you would do if you were here. You can learn more about what is involved if you are going to draft an offer sight unseen on a home by reading Buying a Home Sight Unseen. I got a call from a buyer recently who said she and her husband knew the area and found a home in the MLS online that was ideal for them and which they thought was a good listing price, but the real estate broker she called did not answer her phone or call back. This buyer wanted to draft an offer right away without delay, so that’s why she called me. I always recommend that a buyer get a home inspection by a professional inspector familiar with construction, electrical, plumbing, HVAC and heat pumps, roofing, and so on. A home inspector will thoroughly examine a home and produce a detailed 20+ page report with descriptions of any issues or potential issues he found. Many buyers attend the home inspection, so that gives you an opportunity to examine the home yourself after you have a signed agreement with the seller. I never would encourage a buyer to make a decision to buy a home before they are ready and certain that it is the right time and the right home for them, and I can facilitate the conversation on all the issues that should be considered. But when you decide it is time to buy a home, and when you have found the right home, call me or text me, and let’s draft the offer without delay.